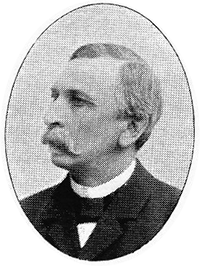 In late 1860s, Cathrinus Nikolay Arbo Collett (see biography of Cathrinus Collett), a young Norwegian civil (railway) engineer, at that time working as an assistant and later a chief of the investigations department of Norwegian State Railways in Kristiania (Oslo), devised a simple keyboard adding machine. It was one of the early European column adders, after the pioneering machines of White, Torchi, Schwilgué, Lobbé and Combes. 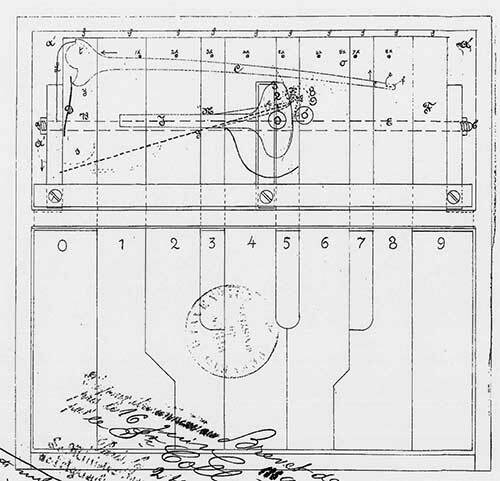 The adding machine of Cathrinus Collett was patented in 1869 in France (patent N°86067 for Machine à additionner, from 16 June 1869, granted for 15 years), see the lower patent drawing. 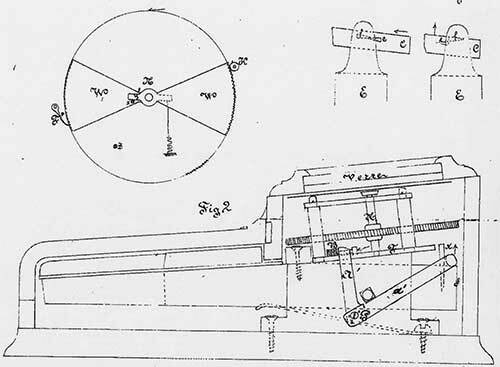 In April, 1870, a patent application was entered at the British Patent Office in London (the application was communicated by the Swedish engineer and inventor Axel Petersson, who obviously knew Collett from his work in railways), but it seems it remained only provisional and British patent had not been granted. There is not any other information about the adding machine of Cathrinus Collett, so most probably it remained only on paper and even a prototype had not been manufactured and demonstrated.